Teen Tours are public talks taking place on the last weekend of the exhibition, within the exhibition spaces. 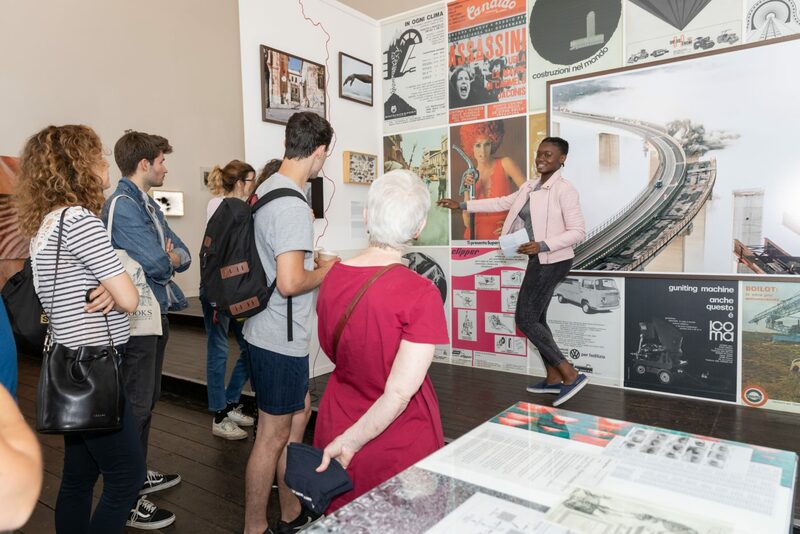 The tours offer audiences new perspectives on the exhibition, based on young people’s experiences and ideas, and give young people an opportunity to develop their critical thinking and skills in relation to photography exhibitions. The Teen Tours programme recruits local Londoners aged 15-19 who haven’t addressed a large audience before and who are looking to develop their confidence in public speaking. Each speaker is invited to research, develop and deliver a 15-20 minute tour of Foam Talent. The five week mentoring course aims to develop research, critical thinking and presentation skills, improve confidence, meet new people and learn about photography. This unique scheme developed by the Photographers’ Gallery has been shared with Beaconsfield and Foam as a chance for the galleries to learn from one another. The mentoring acts as a personal and professional opportunity for the four local young Londoners who have signed up for the scheme. At the end of the course, participants will have researched and prepared a public talk, focusing on particular aspects of the Foam Talent photography exhibition that appeal to them or hold personal significance. Foam Talent Teen Tours is delivered in partnership with Foam Fotografiemuseum, Amsterdam and The Photographers Gallery, London. The Photographers’ Gallery, London initiated the Teen Tours programme with four talks by young people in Summer 2005 and has since shared this learning with other galleries, including Beaconsfield Gallery Vauxhall and Foam in 2017. Click here for more information about London Teen Tours 2017. Foam Talent Teen Tours 2018 is led by photographer and educator Grace Gelder.